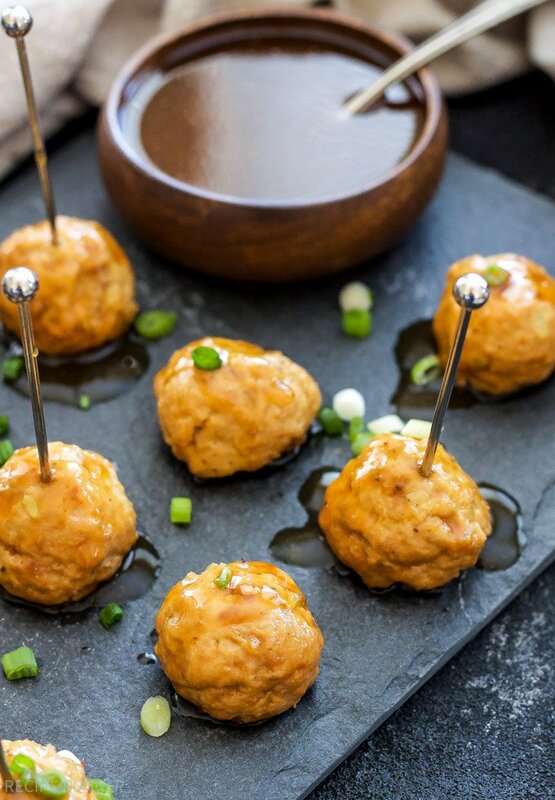 Fresh fall apple cider makes a delicious sweet and savory glaze on these Bourbon Apple Cider Glazed Turkey Meatballs! 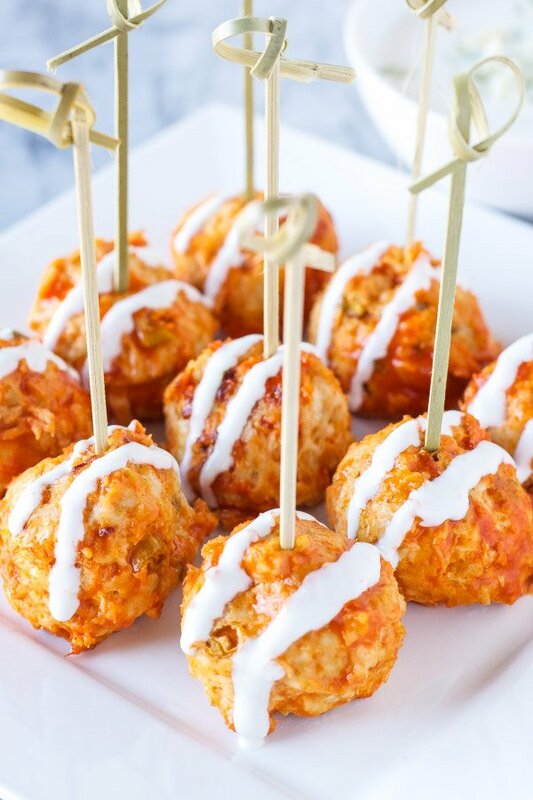 They’re a highly addicting appetizer or delicious weeknight dinner! I think it’s a requirement that at least once during the fall season you have to buy apple cider. I finally bought a gallon at the store a couple weeks ago and boy was it good! 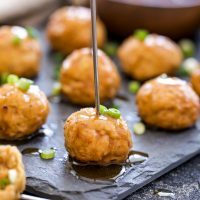 Not only is it good for drinking, but you can add it to both sweet and savory recipes to really kick up the fall flavor like I did with these Bourbon Apple Cider Glazed Meatballs. I’ve been loving that my morning runs aren’t entirely in the dark anymore! I’ve been stuck doing the same few running routes lately because the trails I ran on all summer got too dark and I didn’t feel like tripping and falling on my face. Since I’m not into wearing a headlamp when I run, I’ve been sticking to routes where there’s plenty of street lights. The only thing that stinks now, is that it’s completely dark at around 5:00 every night. The first day coming off or going on to daylight savings is always the most traumatic. My body doesn’t understand the extra hour of sleep and neither do my cats. They don’t play by the rules and woke me up at the same time they always do. My stomach also doesn’t understand why it has to wait an hour longer to eat. I was ready for dinner at 4:30 on Sunday and by 5:30 it was all I could do not to inhale all my food in 30 seconds. It was weird having to turn on the kitchen light to make dinner, unlike the day before when there was plenty of light. No matter how many times I go through the time change, I doubt it will ever get easier. 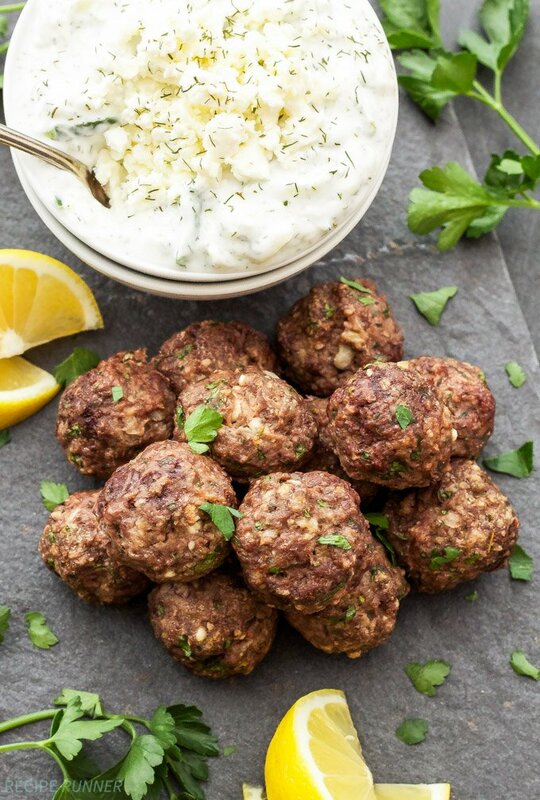 Back to the apple cider and what an amazing ingredient it is for these turkey meatballs! 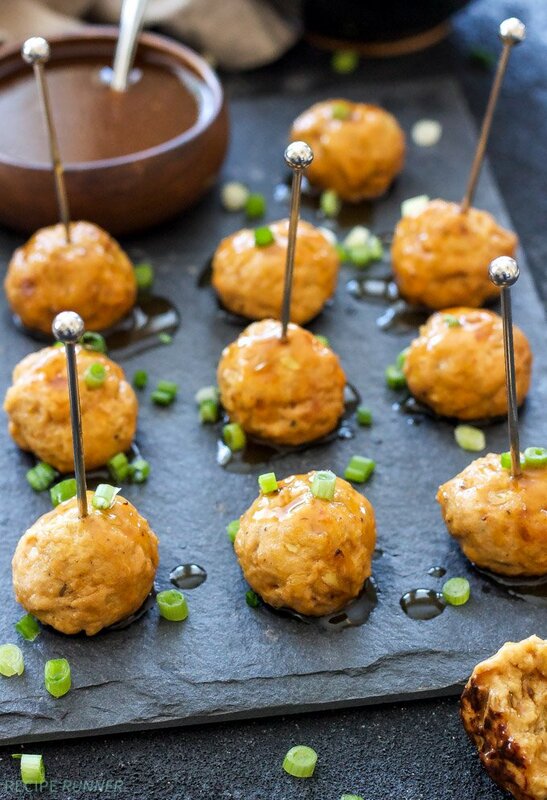 On top of having the apple flavor in the glaze, there’s also shredded apple and apple cider in the meatballs. The apple gives the turkey extra moisture, which is always a good thing when you’re working with lean meat. While the meatballs bake, it’s the perfect amount of time to make the bourbon apple cider glaze. The bourbon isn’t a required ingredient, but I really like the way it’s smokey flavor pairs with the sweetness of the cider. Once the meatballs are baked just add them to the glaze and let them simmer for a bit so that cider flavor sinks in. 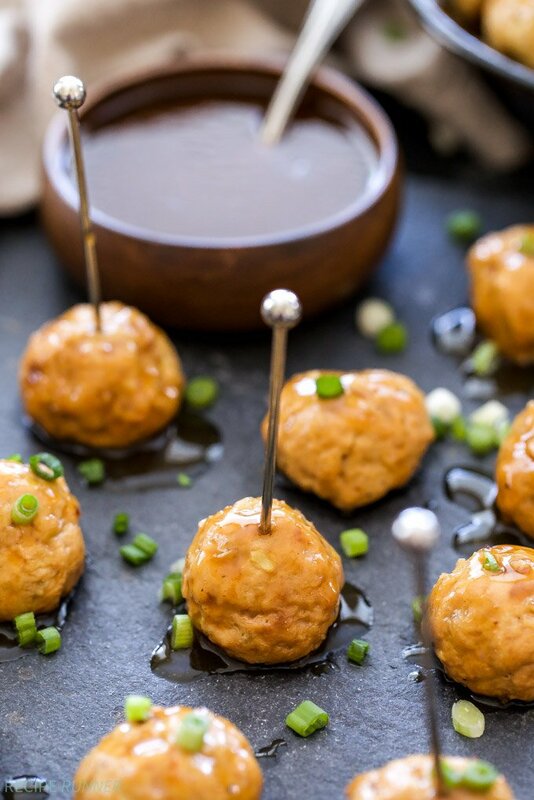 These Bourbon Apple Cider Glazed Turkey Meatballs not only make a great weeknight dinner, but a highly addicting appetizer for your upcoming holiday parties! 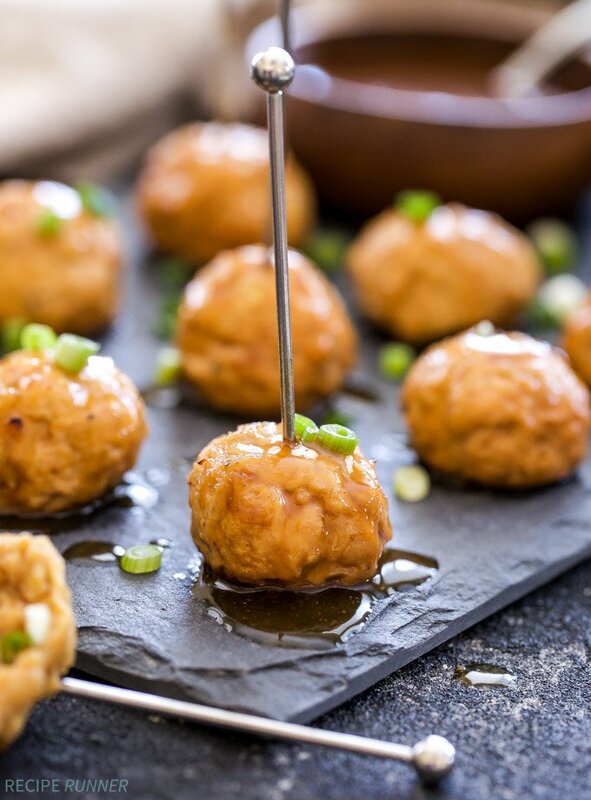 Fresh fall apple cider makes a delicious sweet and savory glaze on these Bourbon Apple Cider Glazed Turkey Meatballs! They're a highly addicting appetizer or delicious weeknight dinner! Preheat oven to 425 degrees and line a baking sheet with parchment paper or foil and spray it with cooking spray. In a large bowl mix together the egg, apple cider, panko, dijon, grated apple, salt, pepper, garlic and onion powder. Add in the ground turkey and combine everything together with your hands being careful not to overwork the meat. Scoop out approximately 2 teaspoons of the meat mixture and roll into a ball, then place it on the prepared baking sheet. Bake the meatballs for 12-15 minutes or until cooked through. While the meatballs are baking prepare the bourbon apple cider glaze. In a medium sized saucepan whisk together the apple cider, soy sauce, maple syrup, bourbon, ginger and cinnamon. Bring the mixture to a boil then slowly pour in the cornstarch/water slurry whisking the entire time. Lower the heat to medium and whisk the glaze until it's thickened. Add the baked turkey meatballs to the glaze, lower the heat to medium-low and let them simmer for several minutes. 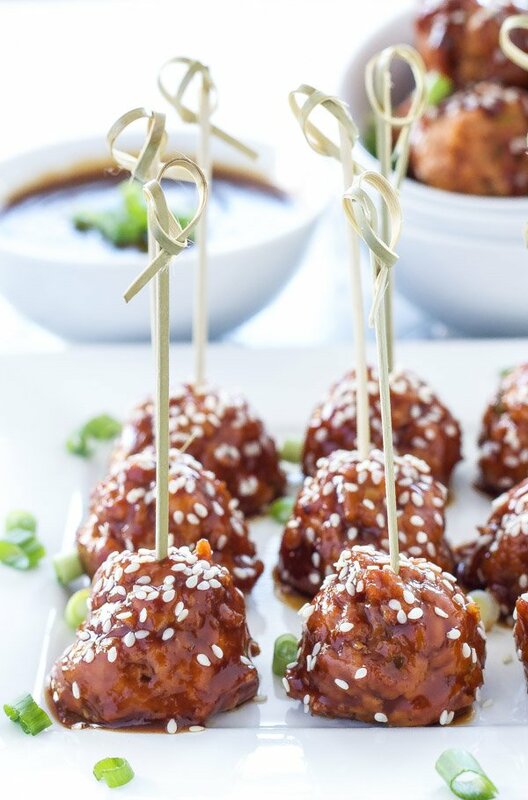 Serve the meatballs as an appetizer or for dinner topped with the sliced green onions. Oh my goodness that glaze sounds so amazing! Yum! It's crazy how the time change messes me up every single time! It's also crazy that I'm totally craving meatballs for breakfast now! Love that glaze!!! The Boubon glaze sounds awesome. What a great appetizer. Love this! 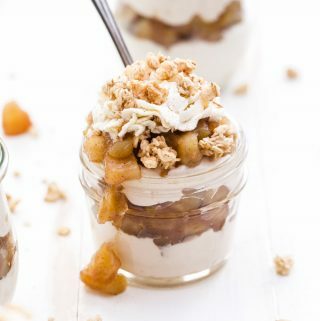 Will definitely be making this for a little gathering at home. Are you peeling the apple before you grate it ? It's up to you. I'm usually lazy and don't bother, but if you don't want skin in them than feel free to peel.